One of a pair of Grade II Listed lodges possibly 1787 by Thomas Gardner but similar lodges can be seen in a painting by Jon Grffin from about 1681. The matching lodge is now a bus shelter. 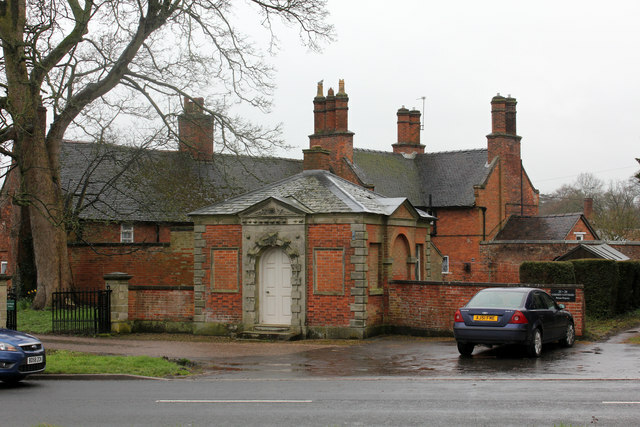 The early 19th century gates and late 18th century wall linking to the other lodge are included in the listing. In the rear of picture are a row of Grade II Listed gardener's cottages of 1678 and around 1845.